Today is a special day for me. December 7, 2005, my first child came into this world. If you know me, you know I go all out for birthdays. My own is just 2 days after Christmas, so celebrations and presents were few and far between because my special day got mixed in with all of the Christmas chaos. I think that’s why I go overboard to make my children feel special for their day. We start 7 days before their birthday when they begin opening 1 gift each night of the week leading up to their special day. For months I plan parties and themes and cake designs, and I put those plans into action all throughout that week. This year was different though, at least for my oldest. This year, he was not allowed to have birthday presents nor was he allowed to have a party. There has been no party planning or invites sent out, and I didn’t wrap the traditional 7 gifts for each day of the week. This has been very difficult for me, and it is my hope that it has been extremely difficult for him . . . because I hope to never have to do this again. It started back in October when he was caught telling an incredibly huge, very detailed “fib” that could have caused some major issues if it were true. He was grounded for quite a while, but since telling the truth has been an issue with him for years (with no luck in the various types of consequences we’ve tried), he was also told what would happen if he lied again. Lying again would mean he could have a birthday party but no gifts, and if anyone gave him gifts (even if it was money or a gift card), he would have to donate them. This was me not wanting to give up the cake I had spent so much time designing, and I was so excited to make it for him. If he lied again after that, he would not be able to have a party. If he lied a 3rd time, he would not be allowed to have Christmas gifts and again would have to donate any that were given to him. Whew. . . I was so glad to hear that he knew how serious this was, and I was confident we wouldn’t have to worry about it anymore. Then, just a week later, I caught him yet again. I didn’t yell. I didn’t let him see how angry I was. 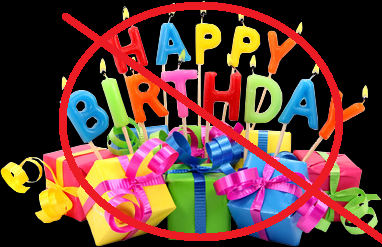 I simply told him that means he can’t have presents for his birthday, and I hope he makes better decisions so he can at least have a party. And I said it all without crying because of my disappointment and my concern for his struggle with telling the truth and hurt because I knew it would be hard for him not to receive gifts for his special day. . . BUT he would still have a party, and we can make him feel special without gifts. All was good until right before Thanksgiving – right before invitations were to go out. He was caught in another lie. I wanted to give him every chance to tell the truth, reminding him of the consequences of not telling the truth, but he didn’t come clean. You know that saying, “This is going to hurt me more than it’s going to hurt you?” I think a parent is the only one who can truly comprehend the meaning of this saying. Do you understand how difficult standing firm on consequences can be? I know this is why parents often give in and make idle threats to their children without following through. I’ve been guilty of it many times before, but I was determined this time not to give in. I told him his consequences, and they were severe (in my opinion), and I wasn’t going to back down. He has to learn how important it is to tell the truth at all times. I begged and pleaded with him to make better decisions so he didn’t have to watch everyone open Christmas presents while he got none as I told him he wouldn’t have a birthday party. He cried about having no party, and I somehow found strength that wasn’t my own as I stood firm and did not cry through his heartbreak. Not doing anything special for him made me forget every day to tell him, “Today is your last Tuesday as an 8 year old,” or, “Today is your last Friday as an 8 year old.” The previous week was no different than any other week. I was supposed to be stressing over getting the cake perfect and making sure I have all the RSVPs and planning who was doing what and finalizing the time everyone would arrive. Instead, I was decorating the Christmas tree and helping with homework and driving to and from school. There was nothing to make him feel special for his day that comes only once a year and already makes things difficult for him to be celebrated when it comes right after Thanksgiving and just a few weeks before Christmas. I feel like a horrible mom . . . but I know what I’m doing is best for him in the long run. I pray desperately that I never have to do this again. I took him to lunch today, and I asked him how he felt about his birthday this year. I asked him why he didn’t get a party or presents. I asked him again to please think before telling something that’s not true – reminding him that he might get in trouble if he tells the truth about something he did, but consequences will never be as serious as they will be if he lies about it. Yes, I’m going to make him a smaller version of the cake I designed, and we’re going to have it as a family. I hate this. I hate this so much, and my heart is breaking because I have to wait a whole 358 days before I can start going all out again for his birthday (remember 7 days of celebrating). Oh, I hope this works. I hope he gets to open Christmas presents with us, and I hope I don’t have to figure out what consequences come from lying yet again after losing Christmas gifts. However, I know in my heart my child grasping the concept of right and wrong in a very real way is much more important than one party missed or a few gifts not received. Please, Jesus, let this be the only time we have to do this. Teacher, Coach, Entrepreneur, Parent, Mentor. . .Are You As Effective As You Think? 3 Questions That Will Make or Break You as a Motivator. I can only imagine how hard that was but you did the right thing!! Stand strong mama! I think you’re super brave to (1) Make decision to do this (2) To follow through with it and (3) To post this. You are a great mom, teacher, and role model. Love you! Stay strong!